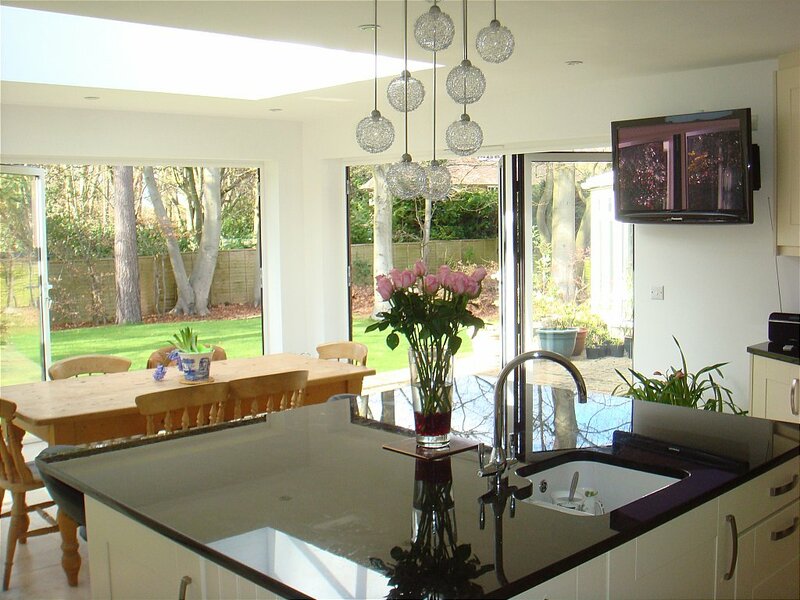 The bi-folding doors on this kitchen extension uses duel colour Powder Coated Aluminium. 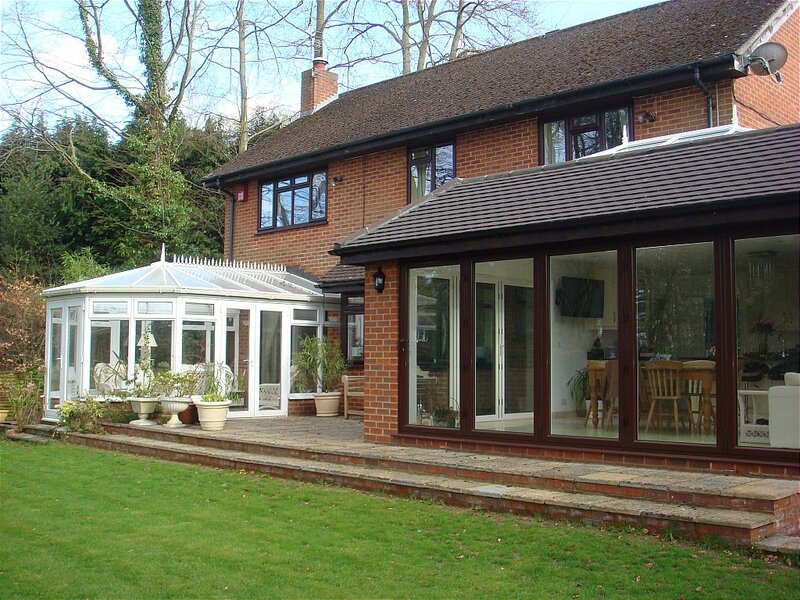 Brown outside to match the existing windows, and white inside. 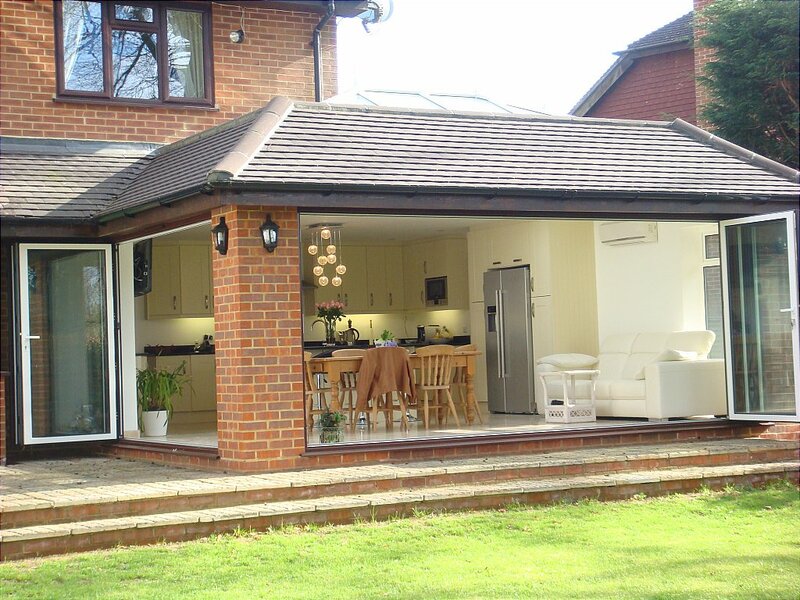 We delt directly with the council to obtain planning permission. All the ground work, brickwork, & plastering were undertaken by our directly employed staff. 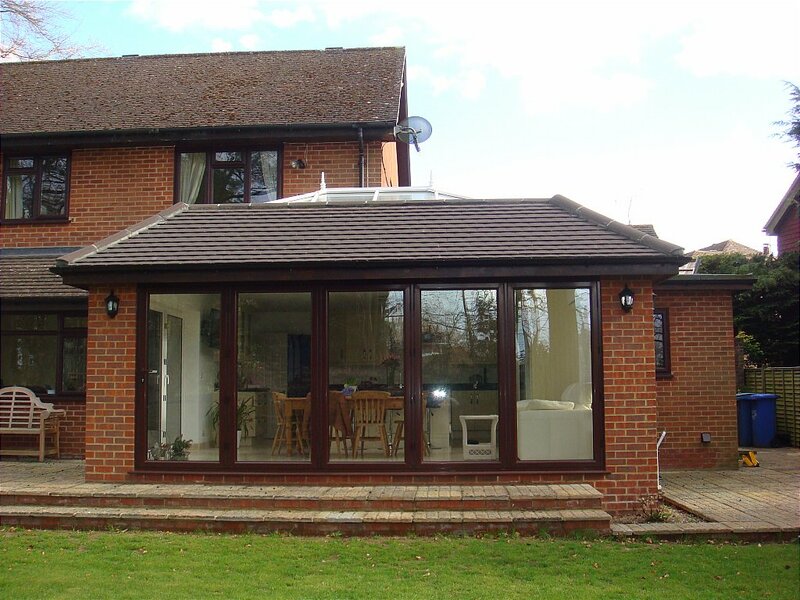 The doors and windows were manufactured in our factory and installed by our fitters. 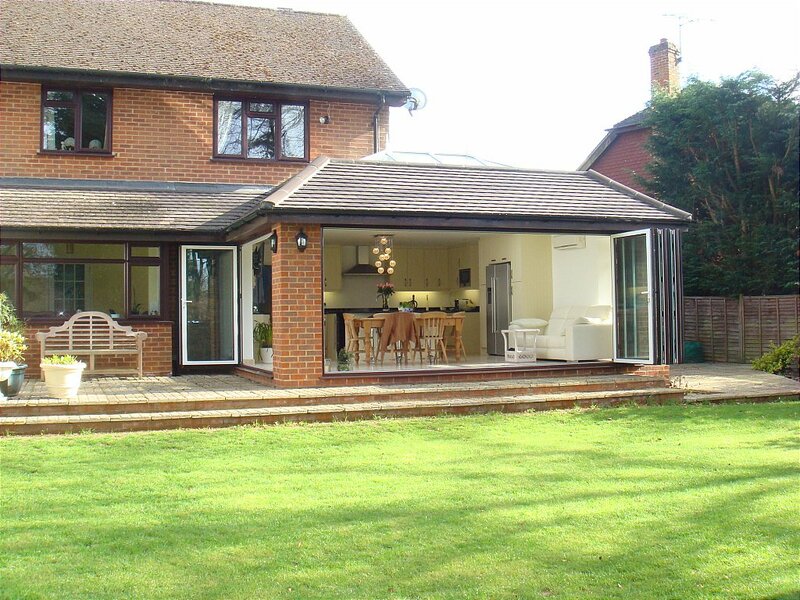 Once the building work was complete we layed the patio. 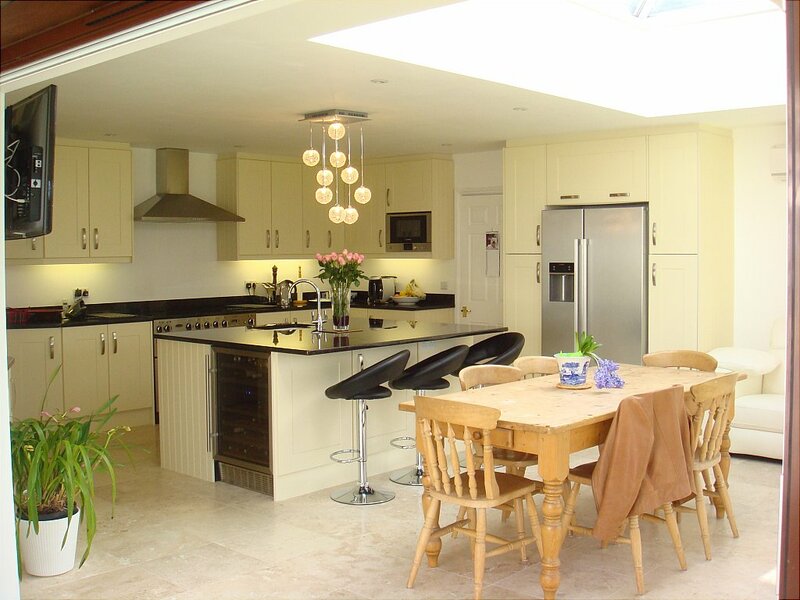 I would like more information about Kitchen Extension- Orangery.